For the past several weeks, I have been perusing various thrift stores during lunch, on my way home from work, or on the weekend. I have mainly been searching for white serving dishes. The larger stores tend to charge way outside my budget, and I knew as long as they were pure white, that I could mix and match from pieces. I also have been looking to collect special pieces that I could re-purpose for my future living room makeover. I found this set (total of 11) of white plates for $6.00 at Goodwill. 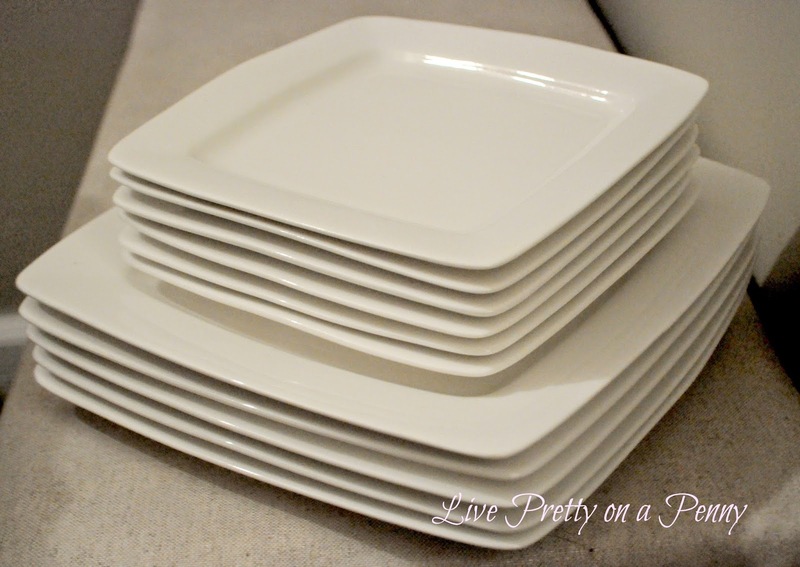 I think will continue gather white plates until I have enough to replace my black ones that we currently use. White is so elegant and classic. I purchased the two dishes on the left for $1.91 for the smaller one, and $2.92 for the larger one. The pitcher was $2.92. 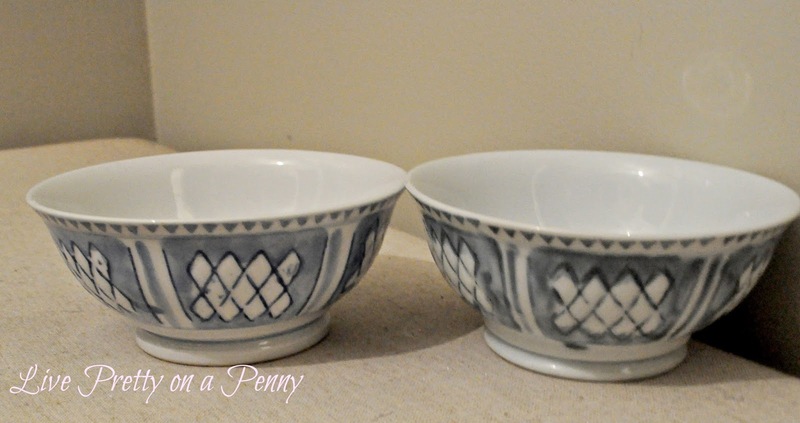 I found these two small blue and white bowls for $.99 each at Goodwill that I will probably use for jewelry or to gather small things around the house. Right now, one is sitting on the green cabinet in the dining room. 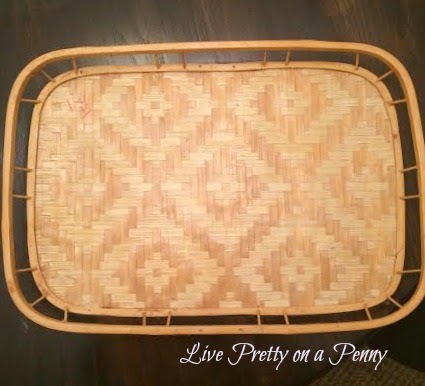 I purchased this tray from a local thrift store for $1.91. I thought the style and diamond shapes in the tray were beautiful. It will definitely find somewhere to live in my home. Trays have endless use! A couple of months ago, I purchased these items for a total of $17.91 from the Salvation Army. Shout out to the Salvation Army employee who was determined to photo bomb my picture. I also purchased this for $5.95 from Goodwill. 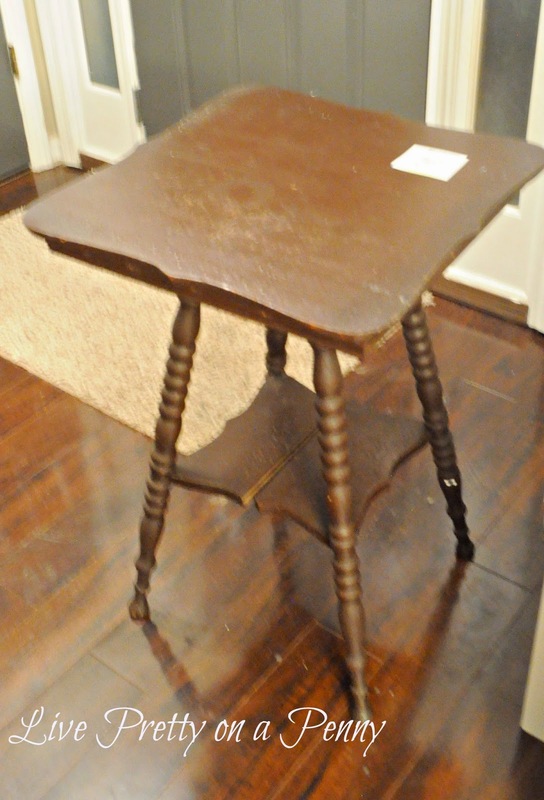 I thought this table was the cutest, and I loved its legs. It will be perfect after a makeover and will probably find a home in my soon to be made over living room. Oh, and sorry for this terrible pic. It looked good on the camera, but sucked after downloaded. 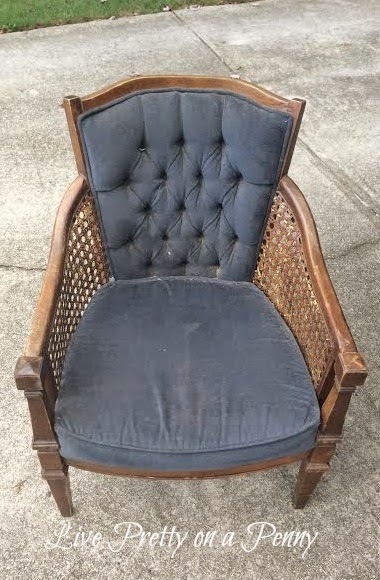 Lastly, this find was not at the Goodwill, but instead I found this chair on the curb waiting to be picked up with the trash. Besides being dirty, the chair is in good condition! It will get a nice makeover and used in my living room makeover as well. That’s pretty much it for now! 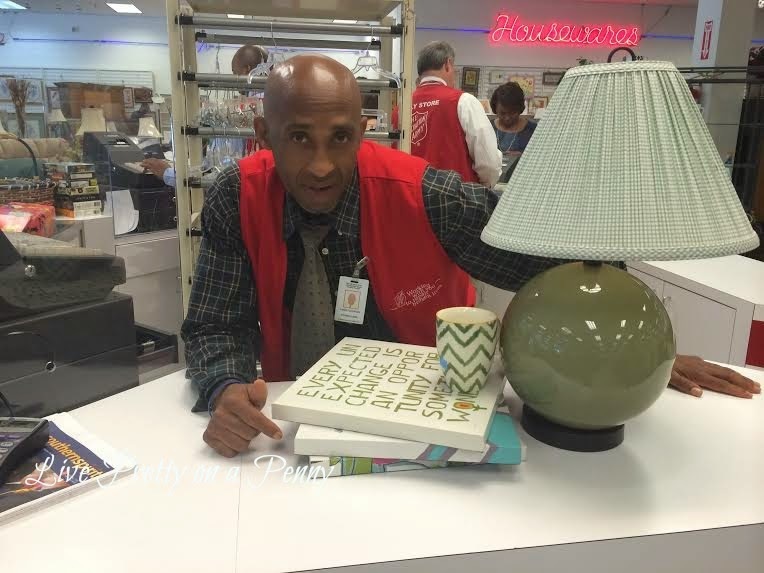 I will be back soon with my tips for shopping at thrift stores, or heck, even curbside. It can be so rewarding, and the mix of pieces is what gives your home flare. If you have any questions about my finds, leave it in the comments below! You really found some nice things! I love the white plates. The bowls you found are perfect for corralling smaller items. I absolutely love thrift stores and often browse at Goodwill stores. You found some treasures here! 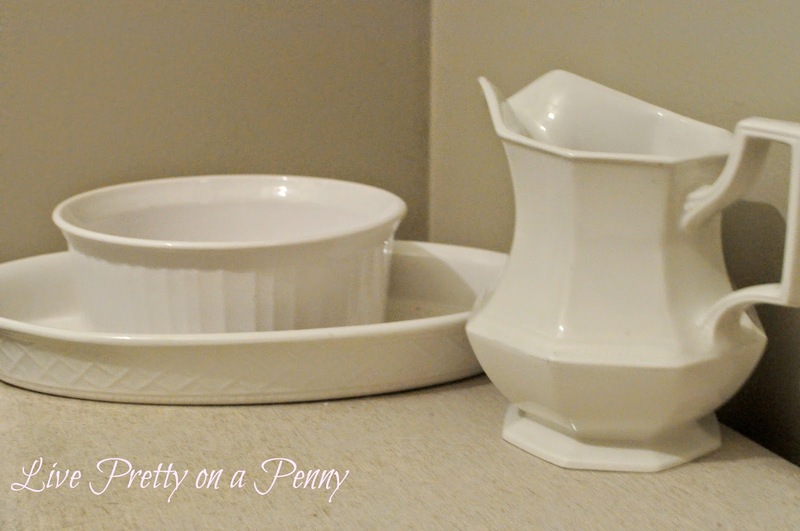 I love the square plates and all your finds are beautiful and elegant, and at great prices. You have a lovely blog, thank you so much for sharing. Oh my goodness, I have almost the exact same table! It's moved with me over a few home relocations, I can't seem to let it go. It's always had a dark wood stain, and currently is in our basement. I would be so interested to see how you update it!